Whenever hear one of those Nevada corporation scams ad on the radio it makes me cringe. 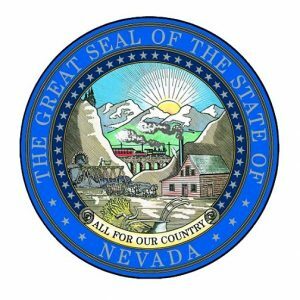 While Nevada corporations are appropriate in certain circumstances, they have little value for real estate investors outside of the state of Nevada. 1. No Corporate Income Tax. True there’s no corporate income tax in Nevada, but what about the state you are doing business in? If you form a Nevada corporation then transact business in New Yprl, the corporation must pay tax to the state of New York. If you periodically sell things on the Internet that have no sales tax you might get away with a Nevada corporation not paying state income tax, but if you sell a lot to say, New York customers, you still may end up having to file a state income tax return in that state. Promoters claims there’s more privacy in Nevada corporations because they can issue “bearer” shares that make it anonymous who owns the stock. True, but if you are an officer or director of the corporation, your information is listed on the secretary of state website. Colorado, by contrast, does not ask for any such information. 3. Directors Have Limited Liability. True, Nevada law limits the liability of officers and directors. But from what? From shareholder derivative actions. If you are a public company with many shareholders, this can be of benefit. However, most people are small, family companies who are both shareholders and directors. What protection does this provide you with? The cost of having a registered agent in Nevada and annual filing fees are doubled if you file in Nevada. If you do business in another state, like Texas, you must register there as a “foreign” entity and pay several hundred dollars more. In short, having a foreign entity only doubles your expenses. As you can see, these promoters are out to benefit themselves by selling Nevada corporations as the “holy grail”. Most investors would be better off incorporating in their own state where they primarily do business.